Instant Car Donation was founded with the goal of bringing donors and local charities together with an efficient and pleasant process. You can focus on deciding which of our respected charities is right for you instead of worrying about difficulties of researching how to make a donation. After your free pickup, we will assist you in recieving the best tax benefit possible for your generous gift. We take pride in helping smaller charities easily receive car donations, bringing people together while helping support those in the Grand Junction, Colorado community who need it the most. Here are some of our favorite charities in the Grand Junction area. We have made sure each of them are eligible for tax deductions when you help your local community by donating your car. Your values and choice can make a difference. Working in partnership with remote communities in Nepal to create lasting improvements in their quality of life. The dZi Foundation is a Ridgway, CO-based non-profit founded in 1998 by longtime mountaineers Jim Nowak and Kim Reynolds. We work in partnership with remote communities in Nepal to create lasting improvements in their quality of life. We accomplish this through implementing community-driven programs that improve public facilities, public health, income levels and educational opportunities while preserving community unity, the natural environment, and indigenous culture. In 2001, dZi established itself as a Colorado-based 501©(3). Since that time, the organization has grown significantly and has honed its focus on community-led development projects in some of the most remote communities in Nepal. dZi currently serves people in an expanding network of remote villages, focusing primarily on basic infrastructure like school buildings, toilets, drinking water systems and bridges as well as agriculture initiatives. Founded in 1970, High Country News is a nonprofit media organization that reports on the important issues and stories that define the American West. With the mission to inform and inspire people to act on behalf of the West's diverse natural and human communities, High Country News publishes an award-winning bi-weekly magazine, a popular Web site (www.hcn.org), and an op-ed column service (Writers on the Range), as well as special reports and books. High Country News reports on the West's public lands, water, natural resources, grazing, wilderness, wildlife, logging, politics, communities, growth, and other issues that are changing the face of the region. High Country News' coverage spans 11 Western states and is the leading source for regional environmental news, analysis and commentary, making it an essential resource for those who care about the West. LightHawk exists to bring the unique contributions of aviation to leading conservation priorities in U.S., Canada, and Mesoamerica. Our staff seek out, educate and plan strategic aerial conservation projects with capable conservation partners. When meaningful flight campaigns are devised, we then leverage our national network of volunteer pilots to make aviation affordable.Flight campaigns inform decision makers, increase efficiency of data gathering, and educate participants in ways that foster dialogue towards consensus on difficult issues. Types of flying include imagery, data collection, monitoring. wildlife transport, legislator / stakeholder / donor education, and media support.Founded in 1979, LightHawk is the largest and oldest volunteer-based environmental aviation organization in North America. Funding supports creation of impactful and relevant flight campaigns by conservation staff, as well as recruitment & education of volunteer pilots who support our work. Mountainfilm is dedicated to educating, inspiring and motivating audiences about issues that matter, cultures worth exploring, environments worth preserving, adventures worth pursuing and conversations worth sustaining. Started in 1979, Mountainfilm in Telluride is one of America's longest-running film festivals. Year-round and worldwide, we take a selection of festival films out on the road. We present both single-event and multi-day shows, hosted by a wide array of organizations, including schools and colleges, corporations, community groups and theater operators. Through the tour, we touch the lives of some 40,000 people every year and visit more than 100 locations on five continents. Founded in 1959 in Grand Junction, CO, United Way of Mesa County raises money from the community to fund programs that address community concerns. United Way of Mesa County is one of over 1,300 community-based United Way organizations. United Way of Mesa County brings our community together to focus on its most important needs -- building partnerships, forging consensus and leveraging resources to make a measurable difference. We provide leadership and resources that unite people in building a strong and compassionate community responding to human needs. We foster cooperation among community agencies, business and governmental sectors in an effort to encourage a balanced network of services for people in our community. There are many charities, like United Way of Mesa County, in the Grand Junction area which can benefit from your vehicle donation. We not only help you contribute to a charity, but we concentrate on providing an effortless method to small to accept donations that they can focus on their work that is important. The donation will make the biggest difference for such non-profit organizations, while helping encourage those in their Grand Junction community who need it the most, bringing together individuals. Car donations are the most responsible way for people to make a donation. Because of this, one of our principal aims is to enable those electing a choice that is benevolent by making sure that the automobile, like a Acura Vigor, goes to the charity which represents their values. When donating together with us we consistently make charity decision an integral part of the procedure. In case you would like us to pick which charity would be helped the most instead we could do this also. It is necessary to Instant Car Donation that you receive the allowable tax deduction benefit without needing to navigate complexities or execute research, possible. We pre-qualify all our participating 501-3C non-profit charities to verify your donation will be tax deductible. The process will be streamlined for both you and the charity of your own choice. We will help a 1098-C tax form to you following your contribution that is completed. Besides the charitable tax deduction rather than having the hassle of handling an older car, the feeling of having the ability to help those in need might be the very best reason to donate your vehicle, such as a Changzhou Greenland Vehicle Co., Ltd. 2T, to a charity. When you choose to create a donation of a used car, such as your Buick Enclave, if the charitable institution sells the car for over $500 they are required to mail you a receipt that allows you to deduct the sales price of the automobile in your own tax return. If the old car you chose to donate isn't worth at least $500, then the IRS allows you to determine the fair market value. This is actually the value that someone would be inclined to pay for the automobile, such as your Ford L9000, in Grand Junction if purchasing it from you. Using this method, you get out by getting rid of your old car, truck, RV, motorcycle, or other vehicle, without having to market it in Grand Junction. You claim the tax benefit, and the charity either gets to utilize the car, like a Subaru XT6, sells it and uses the proceeds for the benefit of the charity. That is a win-win for everyone involved. Car donation programs have become more popular in Colorado over the last decade or so, as more charities are looking for new and innovative methods to create funds. Nowadays, the number of charitable car donation programs numbers in the hundreds or perhaps thousands. In case you've got a favourite Grand Junction charity you want to make donations to, it's most likely possible for this non-profit organization to get at least a portion of the funds if you give your old automobile, like your Kia Sportage. Most old auto donation programs will sell your vehicle to raise funds for your cause, use the car, such as your Saturn L300, in the daily operations of their organization, or provide the car, such as a Mazda Protege, to a someone from Grand Junction in need either at no cost, or even for less than the fair market value. An additional advantage of donating a secondhand car to charity would be the opportunity to just get rid of the vehicle, such as your Buick Encore, without having to attempt to fix or promote it. Most charitable vehicle donation plans will except vehicles if they are operating in need of repair. Some cars or trucks which are beyond repair will probably be sold for parts or scrap and any money received will go to the charitable institution. While there are many advantages to charities that receive donations from people, the benefits to the you, the donor may not be too clear. The largest benefit that the majority of men and women hear about is the opportunity for a tax benefit. There are a few limitations on this type of deduction, which means you might choose to talk to a tax professional before making the donation. Charitable car donation programs enable you to donate your secondhand car to the charity of your choice. Visit our charities page to decide on a charity in Colorado to contribute to. Is there a financial tax deduction for donating my vehicle in Colorado? We can guarantee your vehicle goes to a non-profit organization which is eligible to receive tax deductible contributions and assist you recieve a reciept for your contribution. You might have the ability to find a tax advantage should you itemize your deductions. For donations up to $500 you can use Kelley Blue Book and for larger contributions the non-profit organization must verify what they recieved for the automobile donation (more info). How can my car be delivered to the Grand Junction charity? 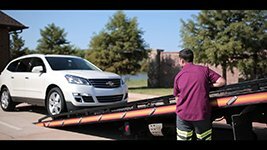 We'll organize a tow truck to come get your car, like your Jaguar F-Pace, and deliver it for you. It could not be much easier to assist your non-profit organization, such as United Way of Mesa County, of your choice! Do you take donations for cars that are damaged or missing components? We take cars in all states! Go ahead and submit your request to contribute, and our Grand Junction team will quickly see what we are able to do for you. Would you help me locate a charity that fits my personal principals? We would really like to help you ensure that your donation goes to your cause in Grand Junction you care personally about by assisting you to pick a non-profit organization that fulfills with your values. It is important for us we do so every single time you give with us! Who can I donate my automobile to in Grand Junction? Instant Car Donation proudly supports respected local Grand Junction organizations that are nonprofit in the area. Our Grand Junction team works hard for you to guarantee maximum support is recieved by the organizaion for your car or truck. All owners on the car title must complete the part of the title labeled "assignment of title by owner" or "transfer of ownership by seller". Most states require printing and signing owner names. You should fill out any areas that need information about a buyer/purchaser/transferee with information. You might find instructions. Will my donation be done quickly? First we will get in touch with the non-profit organization, like United Way of Mesa County, of your choice (or select one for you if you requested that instead) to make certain they need your vehicle, like a Owosso Pulse, which takes about one business day. After that wewill arrange for a truck to come for easy pickup. When it's taking a little longer feel free to give us a call. Have you been considering donating a car in Grand Junction, like a mycar CV .2, but wondering what effect this may have for your charity of your own choice? If so, keep reading to see how your automobile donation in Grand Junction can be a real difference and effect on little and medium-sized charities like United Way of Mesa County in your area. One of the biggest challenges for smaller businesses with few or no paid staff is the best way to boost their funding and preventing volunteer burn-out. United Way of Mesa County at Grand Junction, Colorado, is this a nonprofit. United Way of Mesa County's assignment is carried out by volunteers. Since the majority of work is done by volunteers, then the charity's tasks are performed by volunteer employees, many of who lack skills the non-profit should flourish. In actuality, many times that the specifics of fundraising efforts are decided based on who is available to take them out, instead of that which would be the most effective way to fundraise. Should a tiny nonprofit like United Way of Mesa County be in a position to be given a automobile donation, such as a Audi A5? We think so! However, what about all of the logistical assistance, money and time that's needed to organize the tow truck and also the selling of your donated car with an auction? It seems improbable that a charity such as this would truly be able to take on selling your donated car, even when you opted to donate them. That is where we all come in. We partner with every non-profit who wants to be given a car donation, like United Way of Mesa County, and provide our expertise and help in calculating the car donation. Then, we be certain that the charity gets the utmost donation it can receive so it may improve its operating funding and finance new and existing programs. Your car donation could be worth a few hundred or even several thousand bucks or more, depending on the car you donate. Although it may not seem like a great deal of cash, it's an unplanned windfall for a little or medium-sized charity like United Way of Mesa County. Still considering donating your car to a charity at Grand Junction? We can assist! Simply click on the donate button and let us know that you are, and we'll arrange your free pickup and to sell your vehicle. We will also get the charity of your choice, and ensure they get the funds they should continue their good and important function in our local community. Whenever you give a vehicle, such as being a Ferrari 308GTB Quattrovalvole, you're linking the countless Americans who donate to charitable causes every year. You may think you do not have the money or resources to genuinely contribute to a cause you to believe in. But, donating a car is among the most effective ways that you are able to add your support your favourite local charity, such as United Way of Mesa County in Grand Junction, Colorado. Although it's a tiny action, your area in Grand Junction, Colorado and beyond will thankyou! In reality, in 20-16, charitable giving was measured about 390.05 billion dollars, or 2.1 percent of the GDP for the identical calendar year. It's likewise reported that charitable giving has grown year almost each year since 1976. Even more unexpected is the fact that young adults now give more than their husbands did, once these were the same age. Are you surprised that Americans provide so much and in lots of ways? You will consider, how would you talk about the resources you have to produce the area community you live in a much better place? For those who have a car, like a Mazda 323, that you aren't using, or can be sitting on your garage or drive, why not contribute to get a charitable cause? Whether your car or truck be new or old, working nicely or needing to another life, you're able to contribute it to the charity of your choice farther its important assignment. Especially, small and moderate sized nonprofits such as United Way of Mesa County are in serious need of extra funding as a way to further their reach at the local community. Charities like United Way of Mesa County in Grand Junction, Colorado, are always in need to windfalls to increase or enlarge their own charitable activities. When you donate your car, you breathe new life in these important programs, while you help them receive abrupt new funding. Giving must be simple, but shouldn't it? We think so too. To donate your car, all you have to do is click on the contribute button. We will contact you to arrange a free pickup for your vehicle from Grand Junction, Colorado or your community location. . All you want to do is inform us that admired charity, such as for instance Pikes Peak United Way, you would want to benefit during your donation, and we're going to look after the othersof the We associate not just each of the tens of thousands of charities listed on our website, but should you want to enable a charity which people do not currently list, we will enter touch with that charity for you in order to complete the contribution process. We'll also offer you with paperwork to help you get the maximum tax deduction for the donation! Donating your car or truck is a win-win each moment! There are lots of reasons people contribute cars, such as being a Saab 900. A number of us don't possess the time or inclination to sell a car that's just sitting in the driveway or the garage. Others do not have a lot of cash readily available to support our treasured respected charity in Grand Junction, also that is our chance to use to accomplish something big to support their major work locally. In addition to these motives, a excellent many men and women contribute ELVs, otherwise called End of Life Vehicles. Even as we get older ourselves, and even confront the death of our family and nearest and dearest, devoting an automobile like a Aston Martin Vanquish Zagato into the charity of our soul is a gift that we will offer ourselves and our community at Grand Junction or our local place. We may have gotten to this point in our own lives where we simply are not driving our car no more. What better use will we make of our car in place to use it to impact our community? Especially small and medium nonprofits such as United Way of Mesa County in Grand Junction, Colorado, really depend upon the support of their community to carry forward their important work. Should we choose to give our car to your charity such as United Way of Mesa County, whose assignment we all truly have confidence in, we give them the gift of unexpected funding to encourage an current program , or to simply help them develop new apps and extend their outreach. Donating our car can be a gift we give ourselves. Many of us are also in the position of focusing on the estates of our loved ones and putting their final wishes into actions. In cases like this we may opt to donate their vehicle to an underlying reason they really believed in throughout the course of their life. Helping them to contribute their car may be gift we give them. Regardless of why you're considering donating your vehicle, we could help. The point that seems most critical to people considering donating their vehicle is to make sure the donation would go into a charity they really have confidence in, like Cross-Cultural Solutions. We've reached out to tens of thousands of charities in Grand Junction and outside, whose names and profiles are around our site. We partner with them to ensure they are able to accept your auto donation. Additionally, if there's a charity you desire to donate to who's not recorded here, then we're eager to contact them on your benefit. We'll arrange a no cost pickup of one's vehicle, allow you to transfer your name, and get the non of your pick, like Baltimore Humane Society, to ensure they get your donation. We will also make sure you get the paperwork you need come tax time to get the most tax donation. Do you have a vehicle, like a Th!nk Th!nk City, simply sitting in your garage or in your driveway that you've been meaning to get rid of? A lot of us are prepared to depart an unneeded auto sitting in our garage or our driveway for years without spending time or money to fix it. So that automobile sits, and sits and sits. Let's be fair. Are we likely to put in time and cash to fix this car? If we had been, would not we have done it? Not only is that this old car an eyesore, but we're also missing out on the opportunity to apply this precious resource to assist a charity like Institute for Local Self-Reliance! 1 man's junk is another man's treasure, or so the saying goes. This is definitely true with car donations. A vehicle, like a Porsche Cayman, that is unneeded by you might supply just the right amount of financing to some charity in Grand Junction or beyond to meet its funding to get a current or future project. When you donate your vehicle, you're giving a precious treasure to a charity, because your contribution allows them to continue their work in the community. United Way of Mesa County in Grand Junction, Colorado is this a non-profit. Its call to actions is directly supported by your contribution--you can help the charity of your own choice, such as United Way of Mesa County, to expand the breadth and reach of the great actions from the local community! We pride ourselves in helping you convert your unwanted car to actual treasure! Click the contribute button today to begin the procedure. After you let us know which you're ready to give your car, we'll arrange for a free pick-up in Grand Junction or the neighborhood region and sell your car. All you want to do is let us know which honored charity meets the call of your heart, and we'll finish up. The very best part is that while you get the advantage of clearing out old, unneeded junk, you also get to give financing to the charity of your own choice, like Boston Children's Chorus, and ultimately, you get the maximum tax benefit for your contribution. We'll supply you with a tax receipt for the contribution, and also ensure that the charity of your choice receives the contribution as well as the mandatory IRS paperwork to accept your donation.